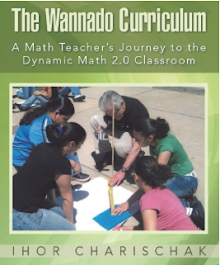 "Modeling asks students a) to take the world and turn it into mathematical structures, then b) to operate on those mathematical structures, and then c) to take the results of those operations and turn them back into the world. That entire cycle is some of the most challenging, exhilarating, democratic work your students will ever do in mathematics, requiring the best from all of your students, even the ones who dislike mathematics. If traditional textbooks have failed modeling in any one way, it’s that they perform the first and last acts for students, leaving only the most mathematical, most abstract act behind." When I was 13 I learned about using mathematics to model something I was very interested in. 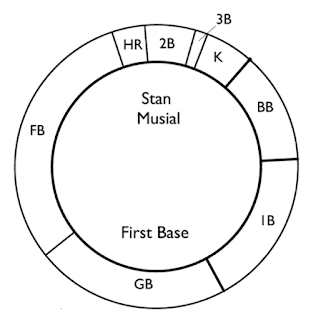 I was making a disk to represent the production in a typical game of my favorite baseball player Stan Musial. Missing from the image is the spinner that would determine the outcome of an at-bat. Notice that the K slice is bigger than the HR slice. 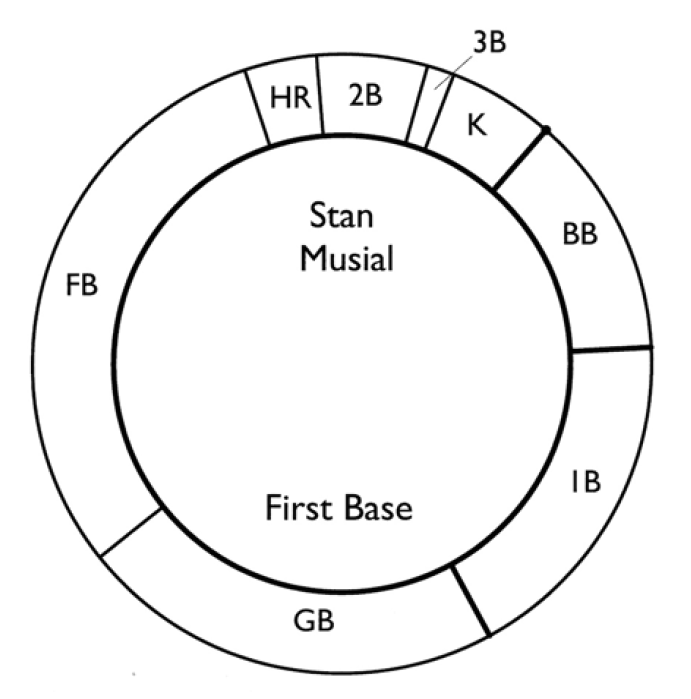 That's because Musial - a Hall of Famer - struck out more often than he hit home runs. Also his 1B is huge because he had a career (22 years) batting average of .331. Fantastic to see that there is someone else who cut their mathematical teeth on All-Star Baseball. I have fond memories of translating baseball card stats to percentages to degrees...and as an aside it turned out that the circular protractor I owned at the time was conveniently EXACTLY the same size as the game disks. 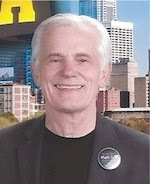 Pete - Thanks for sharing. As I wrote in my book, it was life changer. Math and baseball - perfect together!